At Zush Photography, our unique approach to wedding photography has earned us the praise and accolades of those whom we have been fortunate enough to serve. Speak to those who know, and you will learn that beyond the wonderful images that we produce, we also help make the entire wedding photography experience a fun, stressfree, and memorable one. Get more for your wedding! 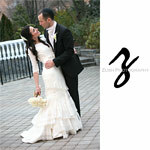 Don't forget to mention ChossonKallah.com when visiting Zush Photography. It was SUCH a pleasure to work with Zush and his crew, from start to finish! He was professional, responsible, easy to get in contact with. The pictures were absolutely amazing! So beautiful and creative, he really managed to capture all the great moments and emotions at the wedding. We HIGHLY recommend him!